Jamie Bell or Monty Clift? Focus deserves to win Best Picture. Could Glen Hansard get a globe nod for Once? Labels: Jamie Bell, Montgomery Clift, WHO'S CUTER? That pic of Jamie is way too swoon-worthy to pass up. Yeah, I fainted a little bit when I saw it. If there's any way Jamie can beat Monty, this pic of him shirtless with sunglasses and crazy hair is it. You are pure evil. I have to choose Monty but....AAARGH! You don't HAVE to choose Monty. I wouldn't. It looks like Sora opted not to, as well... but I'm not totally sure. Well, I should say, it's random but for the fact that there are two distinct groups: one group of guys no one chose in the elimination round, and one group of guys people DID choose. And one from one group randomly faces one from the other. That is how this works. Monty was in the unscathed group. Jamie was in the weaker group. So the odds are on Monty. But to be honest, I prefer Jamie when all's said and done. Jamie, duh. He's my boyfriend after all. I've always been in love with Mr. Clift. So, I'm voting for him of course. Wow, this is still fairly close, believe it or not. If ONE Monty voter switched, it would be a tie. Jamie. Even though I'm a lesbian, I'd jump on him like that! Oh my. 5-4 now. Look out, Monty. I'm going with Jamie i'm not that familiar with Monty's work. billy elliot is my fave film, and jamie is my fave guy, so if i didn't vote for him, what kind of fan would i be? Clift, though Bell has never looked hotter than that pic (I may be putting it on my computer background). Jamie is cute, but my vote goes to the one and only Monty Clift. I'm sorry but look at their faces!! is there even any competition?? No one could ever be as beautiful as Monty! he is amazing in Jumper!!! Is this a joke? 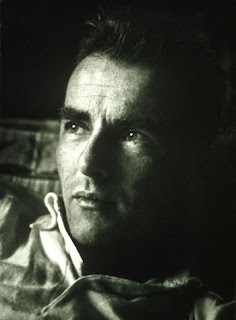 Monty Clift is the best looking man I have EVER seen, by far. Have you seen him in his younger days?! Wow, who the hell said this squirrely looking kid is "no competition" when it comes to Clift??? Please google Monty and THEN VOTE. Why would you post that pic of him after he had a face altering car accident? jamie bell all the way!!! does anyone know when that pic was taken?? I did google Monty Cliff but I still prefer Jaime Bell. That pic would make anyone swoon. He's sooo freaking hot! That's almost impossible except for personal preference. I have a wicked crush on Jamie Bell and Clift was ridiculously good looking. Sigh*. I guess Jamie...No, wait!